Rewilding Europe and the Forestry Faculty of the University of Zagreb have started a cooperation to enhance the conservation of wild nature, wildlife and wilderness in the Velebit Mountains in Croatia. This cooperation will focus on proclaiming the old-growth forest Ramino Korito as a special reserve and researching the ecology of brown bear to improve its protection. The Faculty of Forestry, University of Zagreb, has a long tradition in applied science in the Velebit region and has now combined strengths and knowledge with Rewilding Europe through its local partner Rewilding Velebit to support the rewilding of the Velebit Mountains. Shortly after signing the Memorandum of Understanding in October this year, two important subjects were chosen as the main focus of the cooperation. Fir (Abies), Beech (Fagus Silvatica) and Spruce (Picea abies) in the old growth forest, Velebit, Croatia. 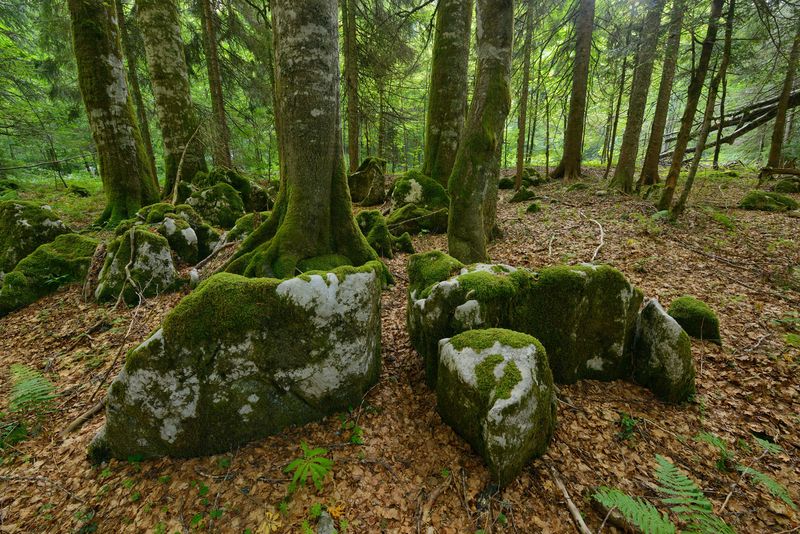 The first component focuses on the preparation of the scientific basis necessary to proclaim the old growth forest Ramino Korito, situated in the southern part of Velebit Mountains, as a special forest reserve. 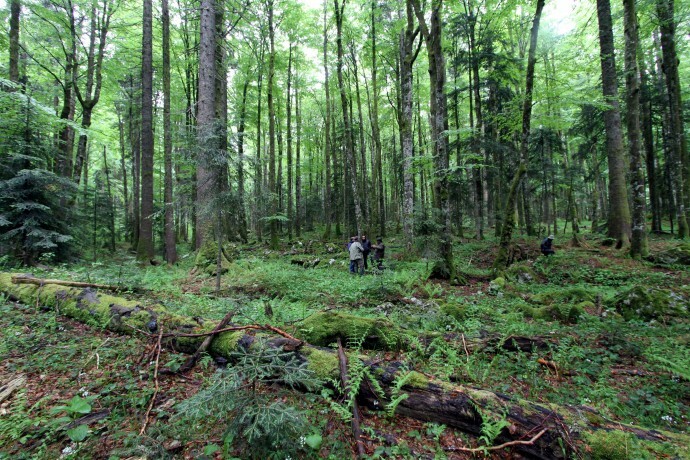 The expert team led by Professor Joso Vukelic from the Forestry Faculty will define the fundamental forest communities and related ecological features of this beautiful and intact piece of forest. This will be done by measuring the structural parameters and surface, highlighting its unique, rare and representative values. 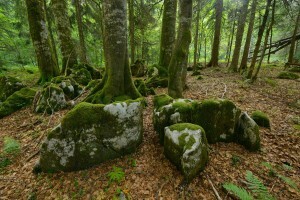 Ramino Korito would become the second special reserve of forest vegetation, joining the existing Klepina Duliba forest reserve in northern Velebit. 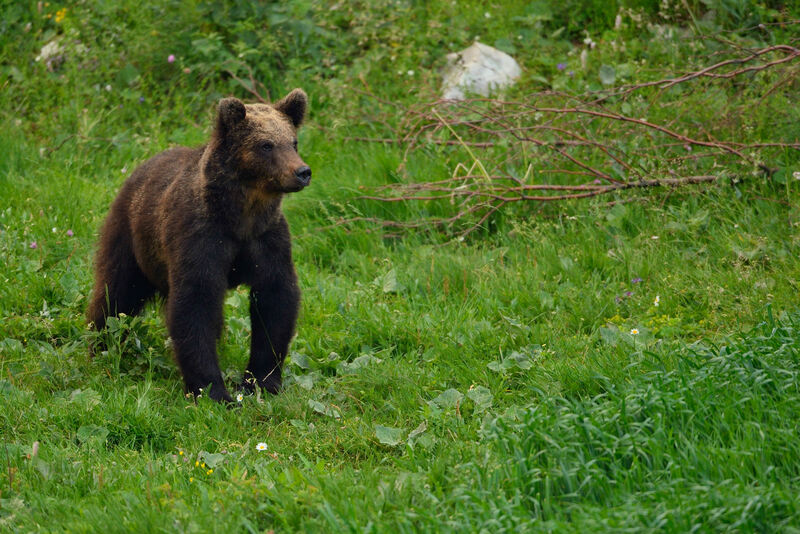 The second component investigates the ecology of the brown bear aiming to create positive conditions for the population in the Velebit Nature Park. The team led by Damir Ugarkovic from the Faculty of Forestry will identify and map active and potential brown bear dens in the Velebit Nature Park. The project will also focus on identifying the habitat types surrounding the dens, human influence on the hibernation period of the bears and forestry management around the dens. 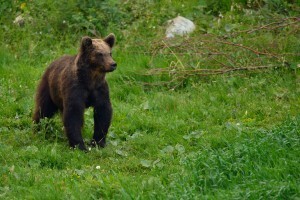 The data will serve to protect the dens from the construction of forest infrastructure and help to increase the brown bear population in Velebit. Various educational tools are also being prepared to emphasize the importance of brown bear for the natural ecosystem of Velebit Mountain. – – “We expect that the cooperation between Rewilding Europe, Rewilding Velebit and the Forestry Faculty of the University of Zagreb will bring various opportunities that will support our rewilding vision for Velebit’’, says Davor Krmpotic, director of Rewilding Velebit. ‘’We are very pleased to start working together and set a solid scientific basis which is key for our work” – he added. Eurasian brown bear (Ursus arctos) in Velebit, Croatia. The general objectives of Rewilding Velebit (which is a newly established association under Croatian law) are environmental protection, nature conservation, and protection of natural resources as the basic values ​​of society. The association is working to preserve and restore the ecological integrity of the Velebit ecosystems by allowing natural ecological processes and wildlife to develop in a positive way, benefiting both nature and people. Find out more about Velebit rewilding area, current rewilding activities and achievements so far here. Stay updated and informed about ongoing work by liking the Rewilding Velebit Facebook page.